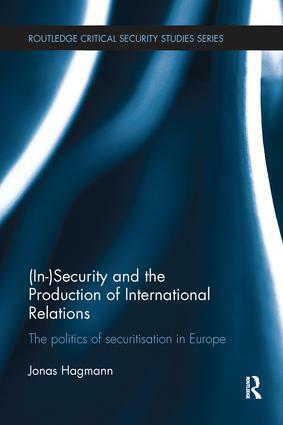 This book provides a framework for analysing the interplay between securitisation and foreign affairs, reconnecting critical security studies with traditional IR concerns about interstate relations. What happens to foreign policymaking when actors, things or processes are presented as threats? This book explains state behaviour on the basis of a reflexive framework of insecurity politics, and argues that governments act on the knowledge of international danger available in their societies, but that such knowledge is organised by markedly varying ideas of who threatens whom and how. The book develops this argument and illustrates it by means of various European case studies. Moving across European history and space, these case studies show how securitisation has projected evolving and often contested local ideas of the organisation of international insecurity, and how such knowledges of world politics have then conditioned foreign policymaking on their own terms. With its focus on insecurity politics, the book provides new perspectives for the study of international security. Moving the discipline from systemic theorising to a theory of international systematisation, it shows how world politics is, in practice, often conceived in a different way than that assumed by IR theory. By the same token, by depicting national insecurity as a matter of political construction, the book also raises the challenging question of whether certain projections of insecurity may be considered more warranted than others. This book will be of much interest to students of critical security studies, European politics, foreign policy and IR, in general. Jonas Hagmann is Senior Researcher at the Center for Security Studies, ETH Zürich, Switzerland, and has a PhD in International Relations from the Graduate Institute of International and Development Studies, Geneva.